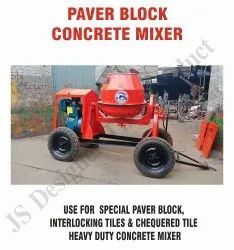 Our range of products include mini concrete mixer, paver block concrete mixture, paver block color pan mixer, cement concrete mixer, concrete mixture and heavy duty concrete mixer. 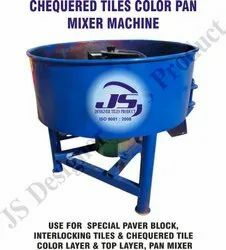 Our in depth knowledge and experience has enabled us in offering a quality proven range of Concrete Mixers to our valued clients. 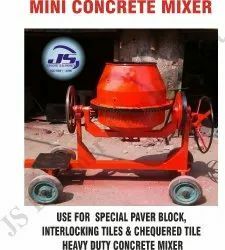 These products are widely useful for performing mixing concrete. 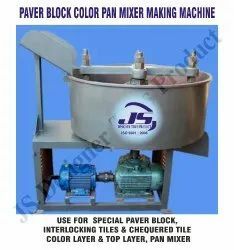 We ensure that the raw material procured for these items is from highly trusted vendors of the industry and the technology involved in production is of the latest kind. This has helped us win the trust of our valuable customers and made us one of the prominent providers of these items. 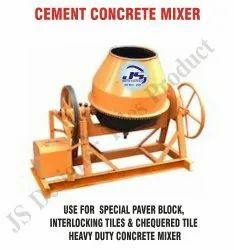 capacity 75 kg cement, stone dust and concrete. Mixed design. 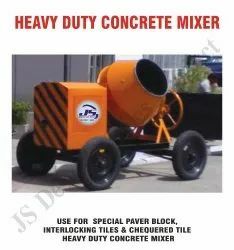 50 kg cement. 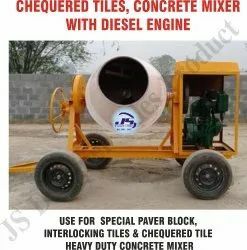 Special chequered tile pan mixture only. 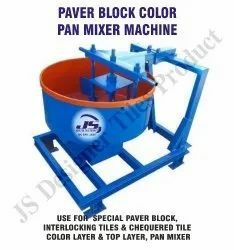 We provide Paving Block Making Machine used for making paver block.